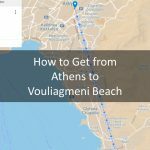 Which Port in Athens is Closest to the Airport? 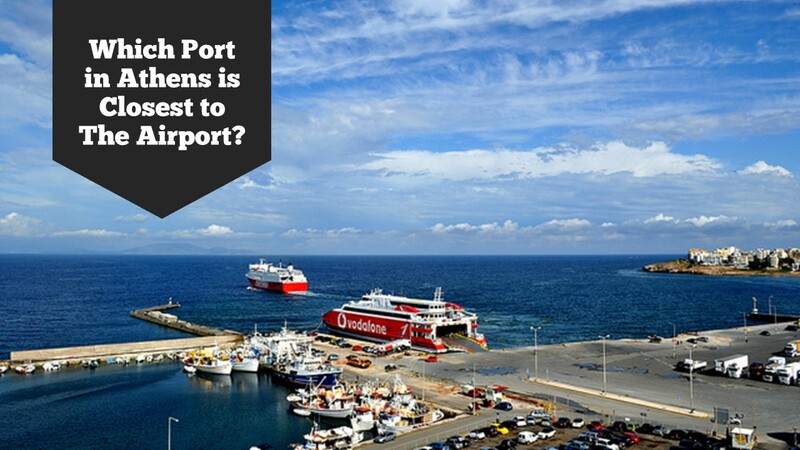 Quick Answer: It is the Rafina Port (12kms, 20 minutes with a taxi). 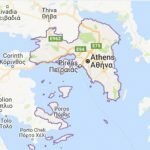 Let us explain: The Athens area, which is called Attica Prefecture and you need to drive at least 70kms from one part of it to the other, has 3 ports: The Piraeus Port, the Rafina Port, and the Lavrio Port. 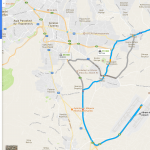 Have a look at the map below [click here to get the map with the ports of Athens in the google maps format]: The Rafina Port is around 12 Kms from the Athens International Airport on a linear distance. You need around 20 minutes with a taxi to get from Athens International Airport to Rafina Port. If you arrive at Athens International Airport and you want to reach Rafina with a bus, you will find the bus stop at ground zero, outside of the arrivals and in front of the Sofitel airport. 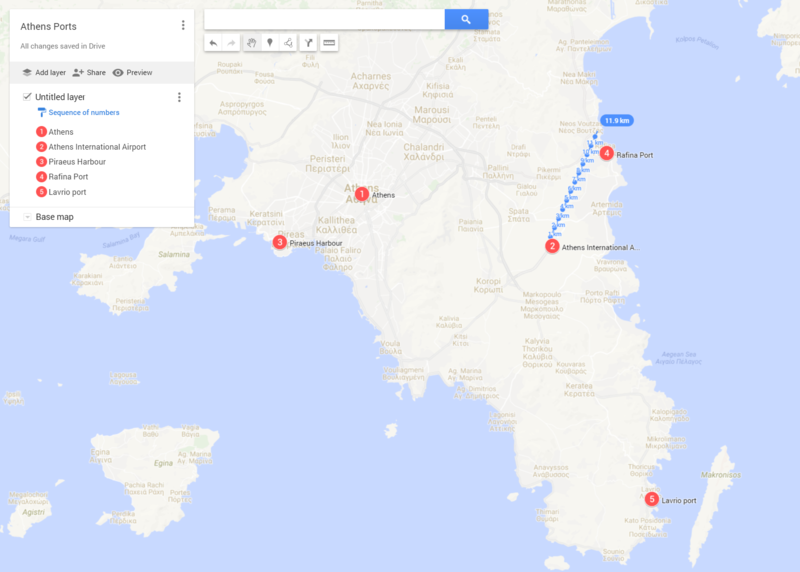 From Lavrio port, you can easily go to “Tzia” island, which is also called “Kea” island in many maps. From the Rafina port, you can get many fast ferries to the islands of the Cyclades, i.e. 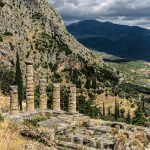 to Mykonos, Paros, Naxos, Santorini, Syros, Koufonisia etc. From the port of Piraeus, you can get many ferries to the Cyclades, to Crete and to many other islands in Greece. Piraeus Port is the biggest port in Greece so it is quite easy. If you can get the ferry to your favorite island from the Rafina’s port, you should definitely opt for it. 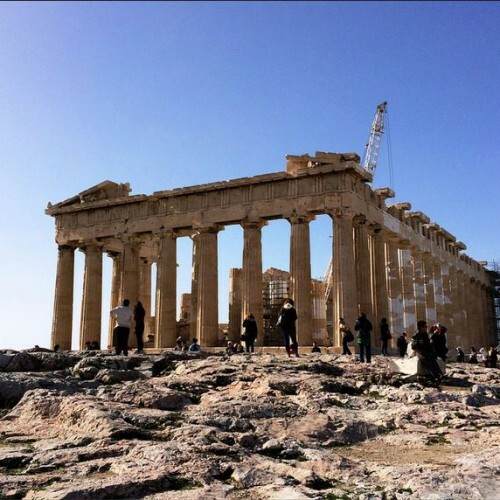 This article is part of our Kindle Guide, “Athens in 3 Days Travel Guide”, that you can get here.